CoxHealth Foundation Financial and Estate Planning Council offers great information for our donors and friends. This month’s installment on great advice to help support your financial future comes from Shelly Titus, AIF of BKD Wealth Advisors. A gift to the CoxHealth Foundation can have a tremendous impact on the community’s health and be your legacy of caring. To learn more about how to include the CoxHealth Foundation in your estate plan, contact Lisa Alexander at 417-269-7109. When developing your investment strategy, there are many things to consider. Analyzing both risk and return is critical. Industry research also suggests asset allocation is far more important to investment outcome than security selection, market timing or other factors combined. Markets are very “noisy,” with many external factors affecting prices and investor sentiment at any given time. Following a well-defined and disciplined investment approach greatly improves the chance of investment success and should help you avoid major investor pitfalls. Contact Shelly Titus, AIF or your trusted BKD advisor if you have questions. 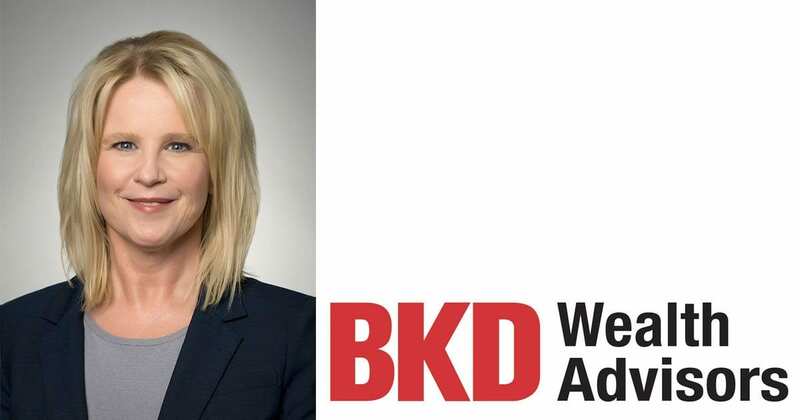 BKD Wealth Advisors, LLC is an SEC-registered investment advisor offering wealth management services for affluent families and investment consulting services for institutional clients and is a wholly owned subsidiary of BKD, LLP. The views are as of the date of this publication and are subject to change. Different types of investments involve varying risks and should not be assumed that future performance of any investment or investment strategy or any noninvestment related content, will equal historical performance level(s), be suitable for your individual situation, or prove successful. A copy of BKD Wealth Advisors’ current written disclosure statement is available upon request.